What to expect at a burial? 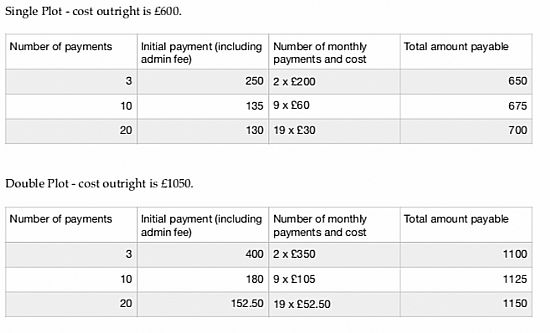 We can now arrange for payments for pre-purchase plots to be spread over either 3, 10 or 20 months if you choose. This requires a standing order to be set up with your bank. Unfortunately because it does cause quite a lot more admin - there is a admin charge levied. Plots would be chosen by yourself and reserved for you. Upon the final payment, your right of burial certificate would be issued.